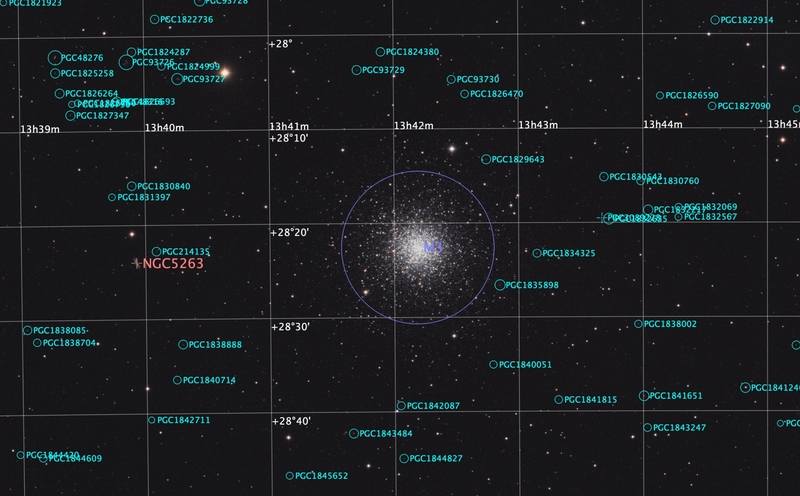 The large globular cluster, M3, is located in the constellation Canes Venatici. 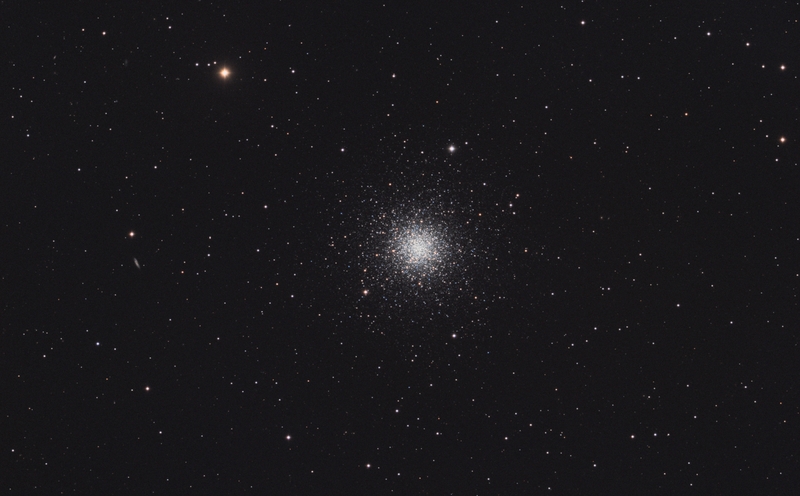 It was the first globular cluster in the Messier cataloged discovered by Charles Messier. He thought it was a nebula without any stars. Today astronomers know it contains over 500,000 stars. It lies 33.9 thousand light years distant and shines at a rather bright magnitude 6.2. M3's apparent size is nearly 18 arc minutes or half the size of the full moon. Its thought to be 8 billion years old. There are many red giant stars within the cluster and also many blue stragglers. To see the blue stars click on the full size image link above. There are also many faint galaxies across the image. Check out this annotated image which identifies them. I took this image during a moonlit sky in March 2019. M3 and other star clusters are bright enough to even image under moonlight. The image was processed with PixInsight.